With more than 10 years in the property industry, Melissa is a highly informed property authority and an invaluable asset to the team at Harcourts Dunedin. Melissa has navigated her way through the property industry in a wide range of roles, each of which have granted her extensive knowledge and an acute awareness of trends and developments in Dunedin property. Beginning her career in property management, she has also worked in housing projects and property acquisition as well as in high-level support roles for senior real estate professionals. In this varied career, she’s dealt with proposals, marketing, viewings and investment sourcing across both the residential and commercial sectors of real estate: her experience elevated our service to the next level when she joined us in 2015. Melissa calmly and adeptly juggles the management of a large rent roll of residential, student and studio properties in Dunedin and acts as an efficient, reliable and approachable mediator between her clients. Trusted to always act with high integrity, she handles every lease with efficiency and professionalism and is quick to convey updates and expert advice on market changes for owners. Clients cite Melissa’s thoroughness and established processes as differentiating factors and they know they can count on her awareness of landlord and tenant rights and responsibilities. Harcourts Property Management Dunedin is nationally renowned for its business progress and client care and Melissa has been instrumental in our success. 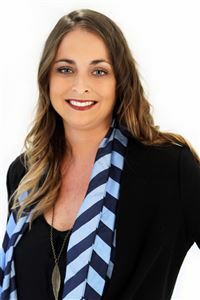 In 2016/17 she was awarded 2nd place for Top Property Manager in the Harcourts South Island Region while in 2015 and 2016 the office was awarded 2nd and 1st place respectively for Harcourts Top National Property Management Office for Business Development. Melissa’s first priority is to take the stress off your hands — get in touch to make your investment easy.